Part: # 00218 Size: 32 oz. BlueDevil Synthetic Power Steering Fluid is a fully synthetic fluid that is designed for use in ALL power steering systems. 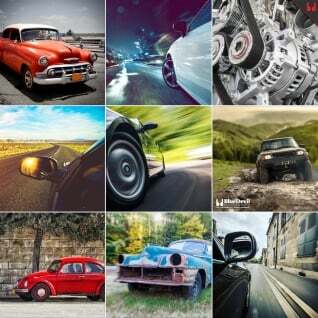 It exceeds the service requirements of most major automobile manufacturers. BlueDevil provides advanced wear protection to extend the life of power steering components. This formulation is made to condition seals and will prevent future leaks. With engine off, wipe around power steering reservoir cap and remove the cap. 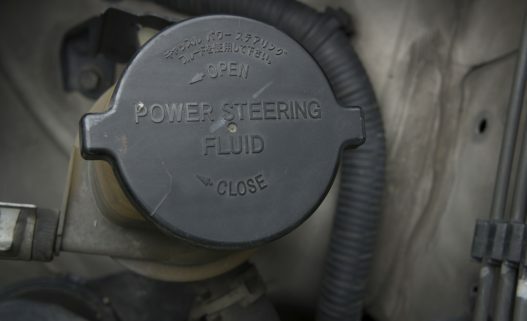 BlueDevil Products recommends that your power steering fluid is changed every 25 – 50k miles. KEEP OUT OF REACH OF CHILDREN. Avoid contact with eyes or skin. In case of contact with eyes, flush with large amounts of water. In case of prolonged contact with skin, wash exposed areas with soap and water. If swallowed, do not induce vomiting. Contact a physician or poison control for instructions. 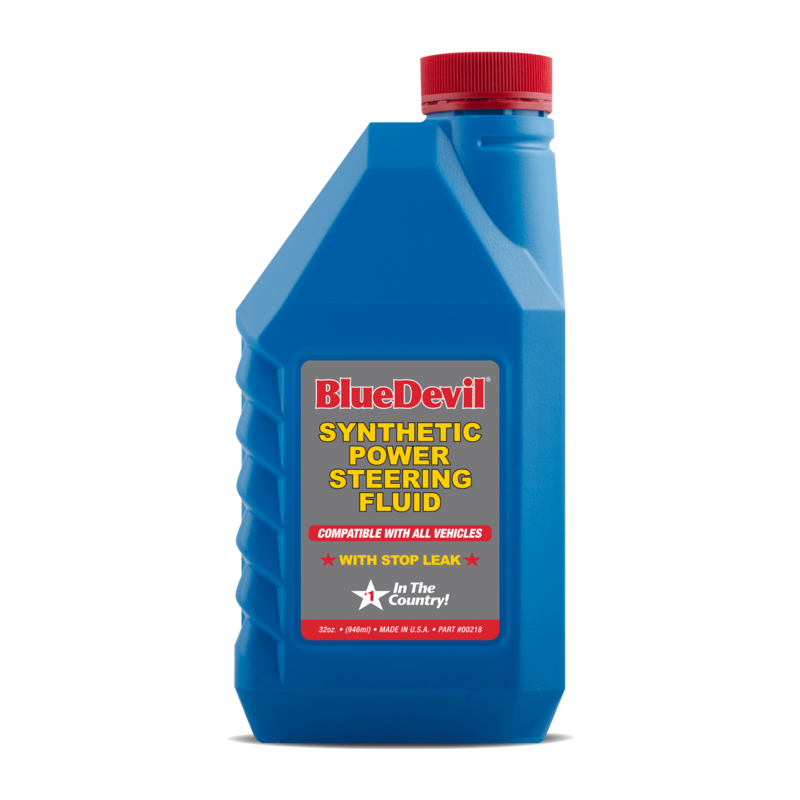 Can BlueDevil Synthetic Power Steering Fluid be added to conventional power steering fluid? Yes. It is compatible and can be safely mixed with conventional power steering fluids. 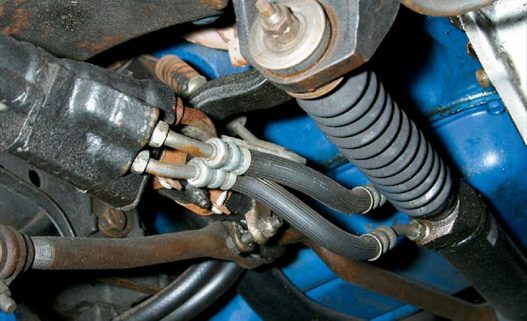 Will BlueDevil Synthetic Power Steering Fluid stop existing power steering fluid leaks? Yes. BlueDevil is formulated with additives that will revitalize worn, shrunken, and hardened seals. Can this be used in foreign automobiles? 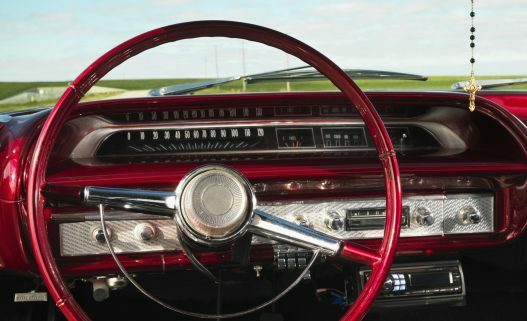 Yes, it is compatible and safe to use in both foreign and domestic automobiles. Refer to the owner’s manual for proper specifications.